We have another little treat for you, in our series of free colouring pages on the blog, we are unleasing another one for you. 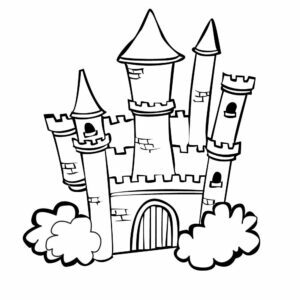 This time its the beautiful princess’ castle that features both on our reward charts and progress charts. Which little princess, or prince, would love to colour this in, and perhaps even add their own prince or princess to the mix too? Click on the picture for your colouring in page! Pingback: Kid's Colouring Pages to Keep them Calm and out of Mischief!